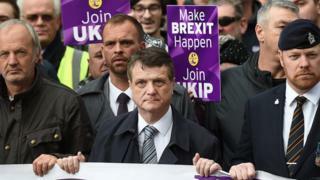 A UKIP member who said he seemed after party president Gerard Batten at a rallying called for a campaigner to be beheaded, a BBC investigation has found. Kenneth Allen said Gina Miller, who campaigned for MPs to vote on Article 50, should have her chief chop off and left outside Buckingham Palace. 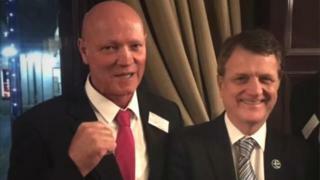 Mr Batten said he “deplored” the posts and Mr Allen was not a member when he made the statements on Facebook in 2016. Mr Allen likewise alerted a woman before the EU referendum to “do yourself a big prefers and vote out so you don’t get raped of( sic) a migrant”. He said he appeared after Mr Batten when the UKIP leader appeared at a rally in Sunderland in September. Mr Allen likewise called Ms Miller a “cow traitor” in the Facebook post. “It’s ridiculous to think that I now think it’s normal for people to threaten me on a daily basis, but to see it in black and white … that someone wants me to be beheaded and my chief put outside Buckingham Palace. He said the party could only taken any steps if anyone lodged a formal complaint, and he hoped the BBC would not try to smear UKIP or himself by means of “guilt by association”.